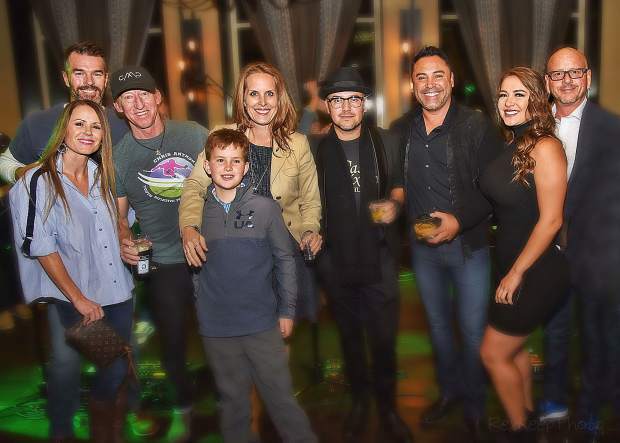 Celebrity guests at the party included Trists Sutter, Chris Anthony and Oscar De La Hoya. The Westin Riverfront Resort & Spa in Avon celebrated its 10th anniversary in a big way: with a party featuring food and drink specials, a brand-new line of tequila and several celebrity guests. The lobby and Maya were stuffed to the gills with celebrators enjoying live music from The Platonics and Billy Mickler, as well as enjoying food and drinks for only $10. Among the drinks being served were margaritas with Casa Mexico Tequila, which the party served as the Colorado debut for. A small batch, premium tequila company, Casa Mexico is made from 100 percent blue agave and produced in the red volcanic soil of Arandas, the highlands of Jalisco, Mexico. Boxing legend Oscar De La Hoya, a partner with Casa Mexico, attended the party to help launch the liquor. Since his boxing days — in which, he won multiple world titles in six different weight classes — De La Hoya has become a boxing and mixed martial arts promoter. De La Hoya was ranked the 11th best boxer of all time by BoxRec, a website dedicated to maintaining boxing records. However, it wasn’t just the tequila that De La Hoya came for, but also the party. De La Hoya was welcomed with a toast with Casa Mexico Tequila and a swarm of fans begging to take selfies. In addition to De Lay Hoya, Vail resident Trista Sutter, known for starring in the first season of ABC’s “The Bachelorette” and for writing the book “Happily Ever After: The Life-Changing Power of Grateful Heart,” also attended. Finally, pro-skier Chris Anthony attended the party. Anthony, who was recently inducted into the Colorado Ski & Snowboard Hall of Fame, was also excited to attend. Throughout the evening, donations were accepted for Anthony’s ski package, part of his youth project, allowing kids to ski several local resorts and tour the Colorado Ski & Snowboard Museum in Vail.